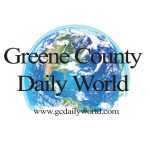 The Greene County Solid Waste Management board met on Wednesday, and finalized its plans for this year's tire amnesty day. Scheduled to take place April 16, tire amnesty day is an event intended to provide the public with a way to safely dispose of up to four rimless tires for no charge. Tires still on rims are limited to two.